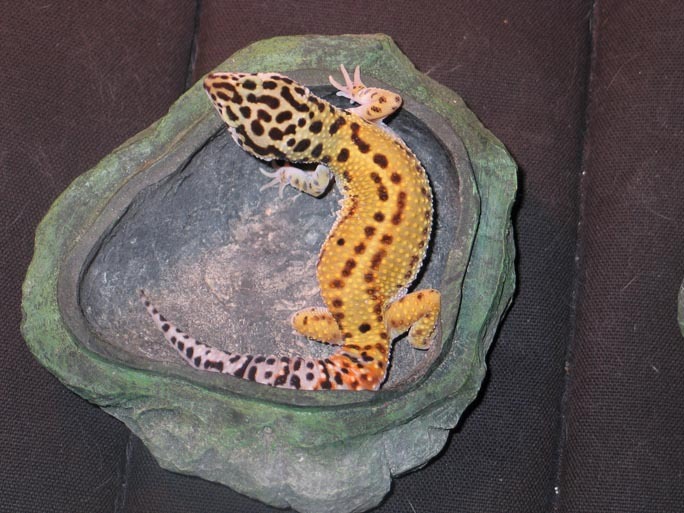 I purchased a leopard Gecko from you November 29th at the Reptile expo. She has not eaten any mealworms. Would do you recommend that I do? IF you haven’t named her yet,I suggest Vikki. I was told at the pet store to mix a little bit of sugar in water. It helps boost the appetite, you can also purchase the same solution. I have never heard that but I guess under certain circumstances it could be a good idea. I’d reserve it for geckos that aren’t eating well. In general, I hesitate to add any kind of processed sugar gratuitously to any creature’s (including me) food intake!